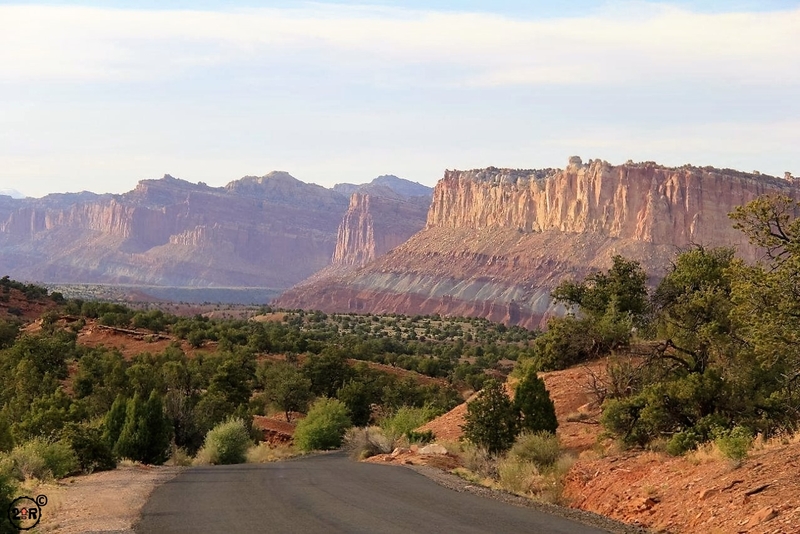 Capitol Reef National Park is one of five incredible national parks in Utah. 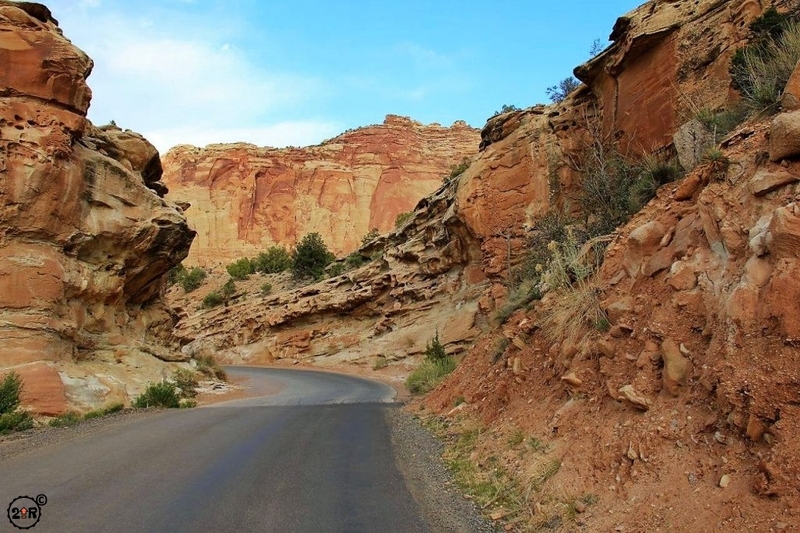 Capitol Reef is known for high towering cliffs and the amazing Waterpocket Fold. 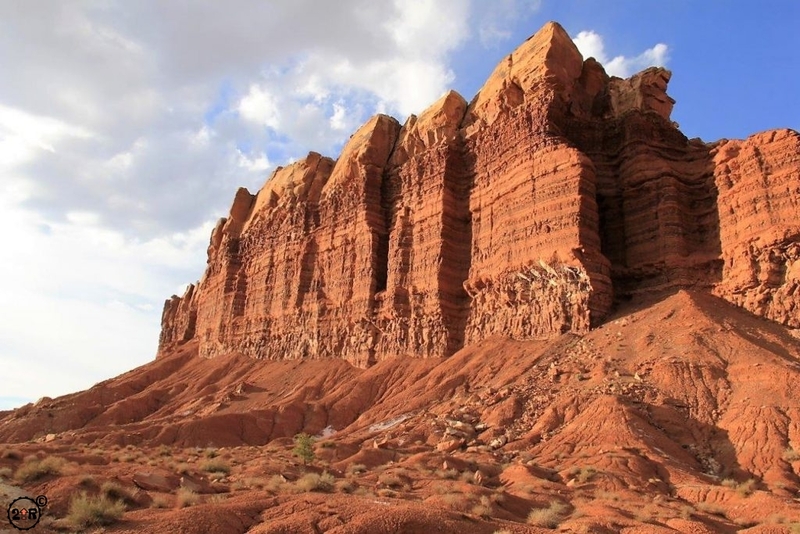 The name of the park comes from the white domes of Navajo Sandstone reminiscent of the Capitol Building in Washington D.C. (there’s even a Capitol Dome formation that looks like the domed part of the building) and the “reef “was a name given to the high cliffs of the Waterpocket Fold that were a significant barrier to travel to early settlers. 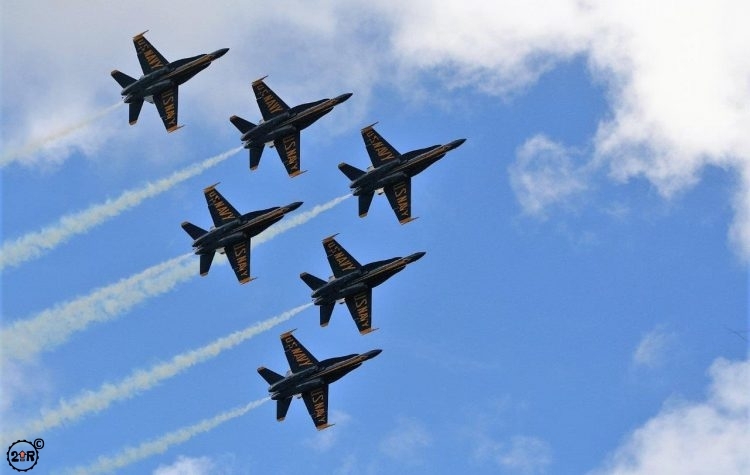 The park was established as a National Monument by Roosevelt in 1937 and was enlarged and deemed a National Park in 1971. 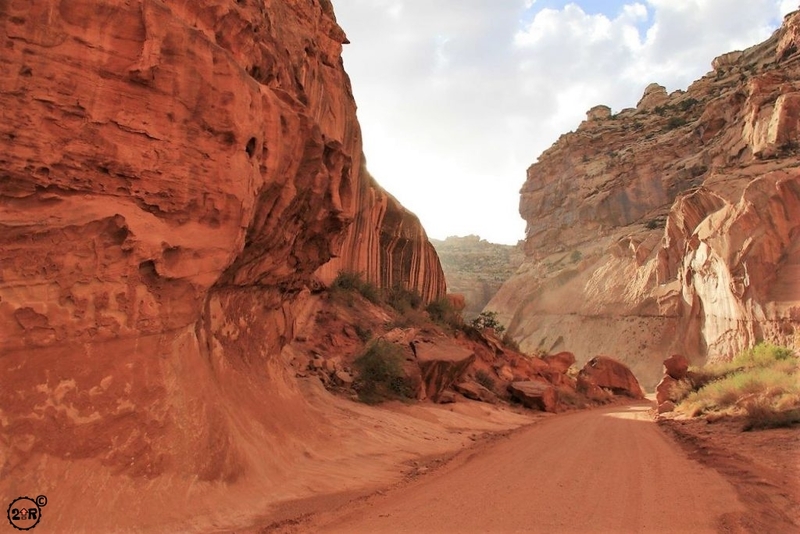 On average, Capitol Reef is only about 6 miles wide but the park is 60 miles long and encompasses more than half of the Waterpocket Fold. The Waterpocket Fold is a 100-mile long monocline, an uplift of sedimentary rock formed during the Laramide Orogeny between 50 and 70 millions years ago. 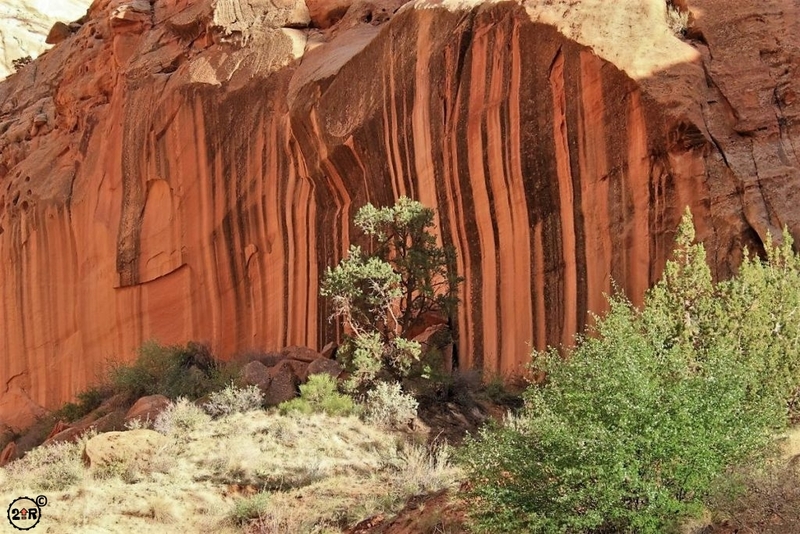 That sounds pretty old, but the rocks exposed at the fold are betweeen 80 and 270 million years old. 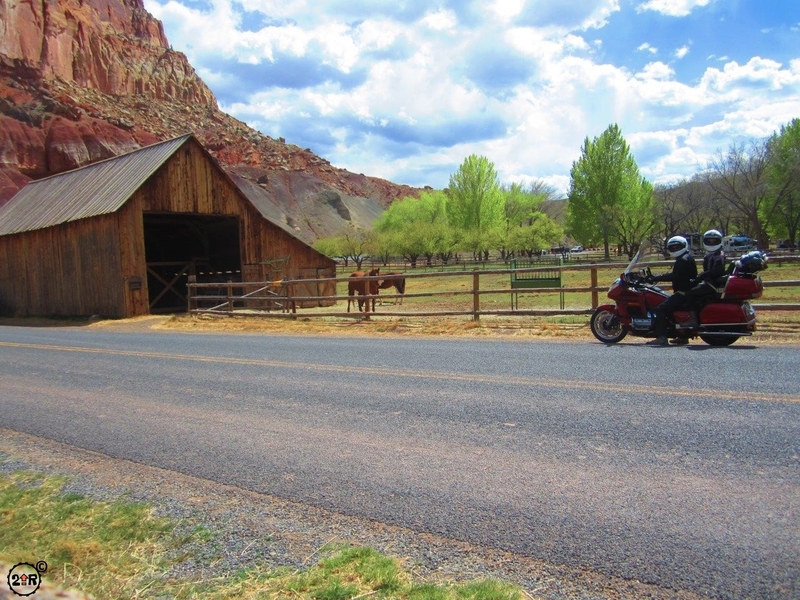 The main part of the park where the visitor’s center is located is called Fruita. I’m not sure of the origin of the name, but early settlers and homesteaders even up to the late 1960s grew all types of fruit in that area of the park including apples, pears, peaches, apricots, nectarines, plums, and cherries, so perhaps that’s where the name came from. 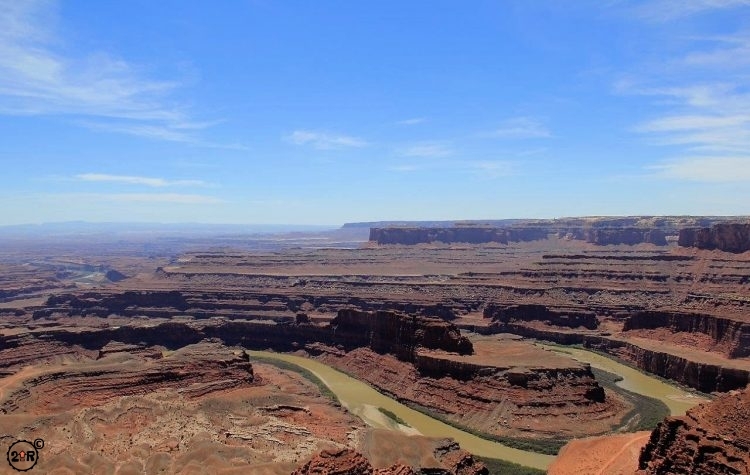 Early settlers were generally Mormons and they settled in the 1880s by the Fremont River, so named for John C. Fremont, a prominent early explorer of the American West. The Fremont River is a year round source of good clean water which the settlers, and the Native Americans before them, used for drinking, to raise livestock, and farm. Good sources of year round water are hard to come by in the desert, so this place was not only rich in beautiful vistas and geology, but also in arable soil and water. 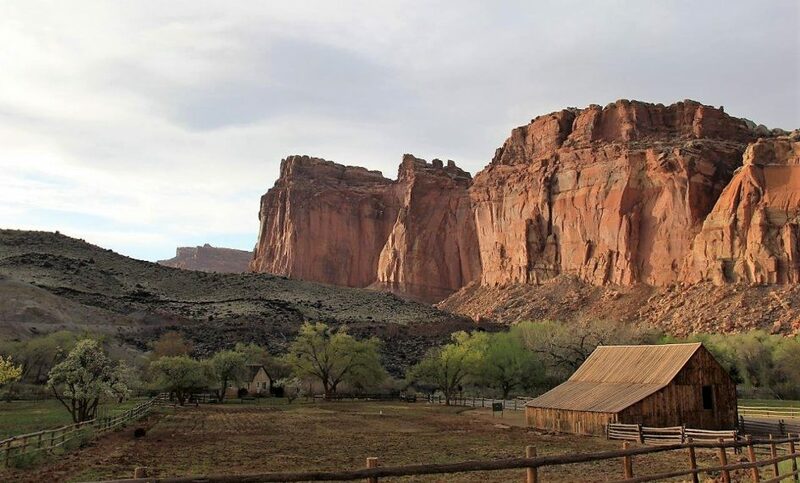 Within the park today you can still see some of the remaining structures of Fruita including the one room schoolhouse, the blacksmith shop, the Gifford House, and a barn. 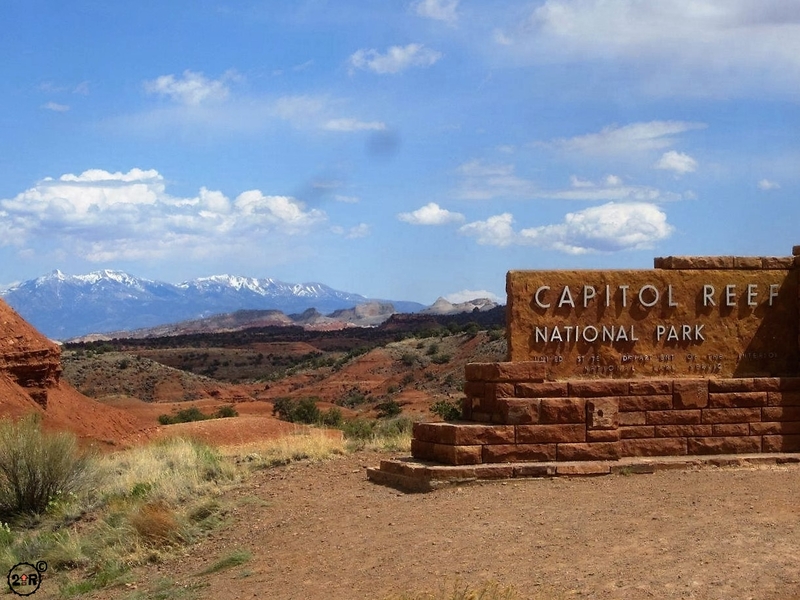 As with most of the national parks, only a small fraction of Capitol Reef is ever seen by 99% of visitors. Access to the park lands is made difficult by the “reef” (Waterpocket Fold) itself. 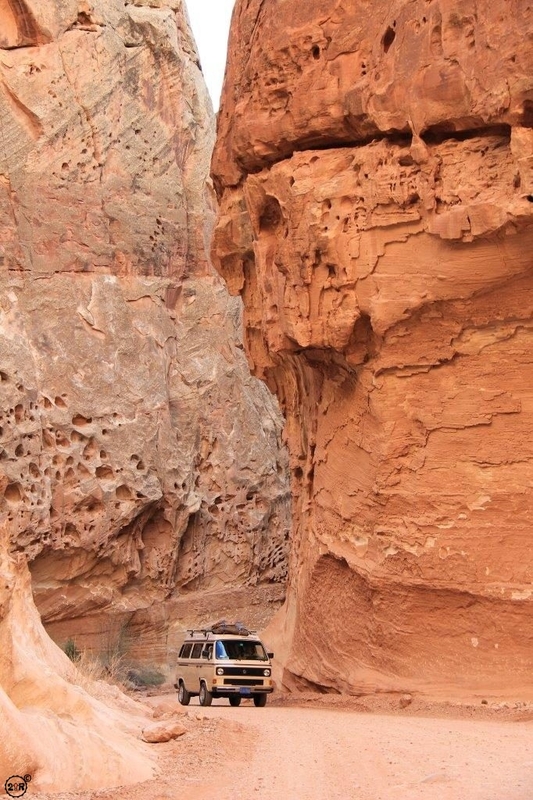 There are a few paved roads, some dirts roads that are passable by most vehicles, and then there are some rough 4×4 roads that can take you deep into the backcountry. 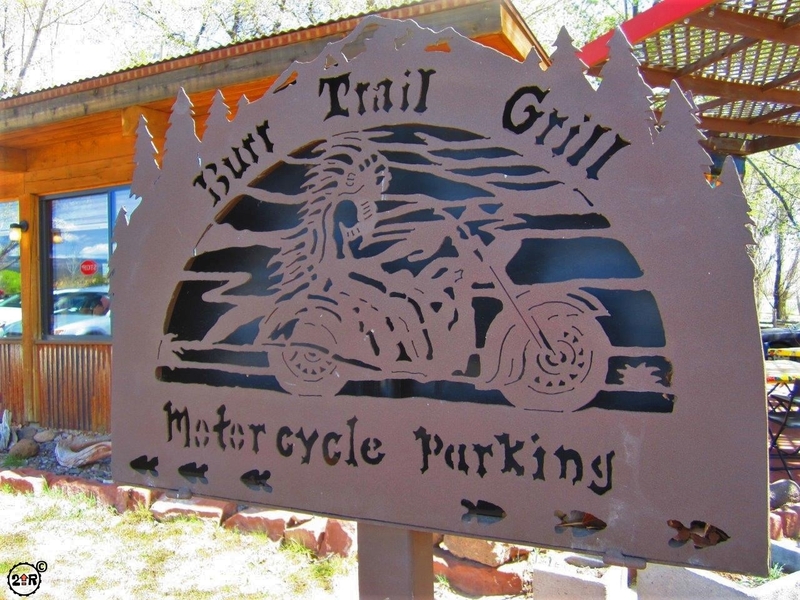 Interestingly, the Burr Trail crosses the park in the southern half of the park on its way from Boulder to Bullfrog. There are a ton of hiking trails throughout the park. 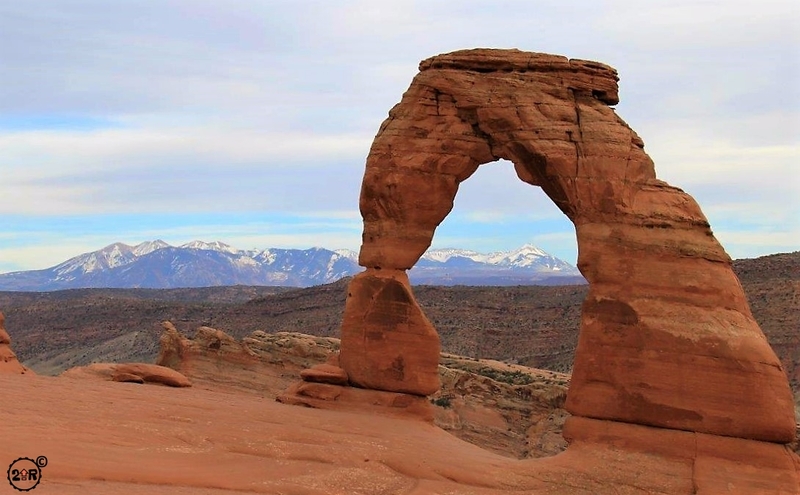 You can hike to and across beautiful vistas, stone arches, along flowing streams, through slot canyons, and to ancient petroglyphs. 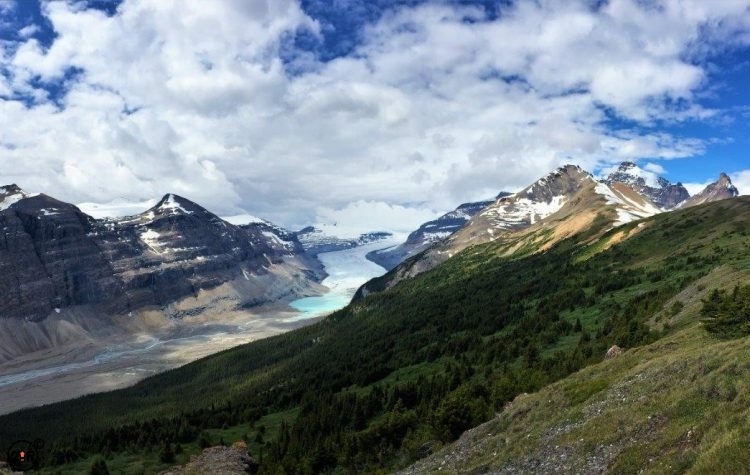 Some the hiking requires a backcountry permit that is free. 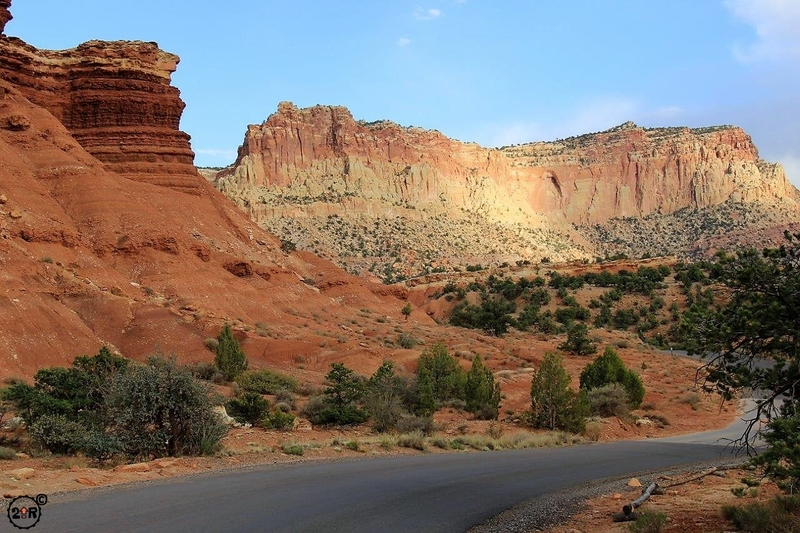 Developed camping is available only in one first-come, first-served campsite right at the park entrance in Fruita. 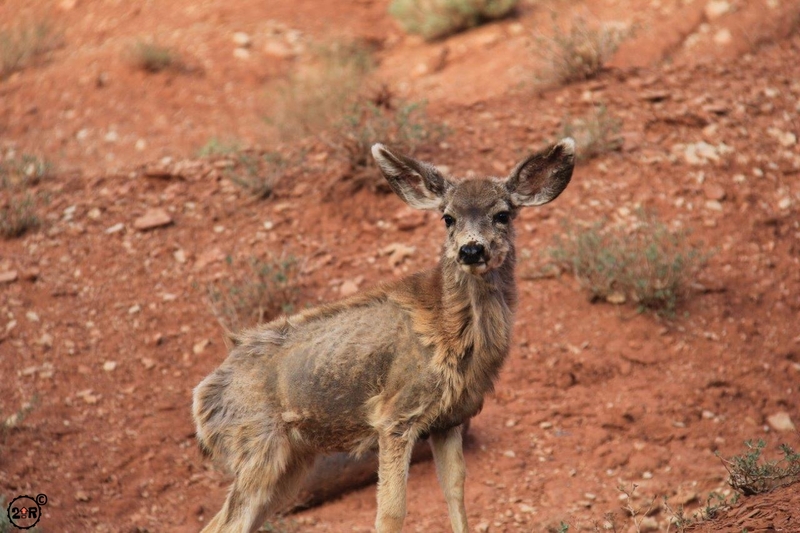 There are two primitive camping sites north and south of the main park area but these are accessible only by dirt roads. 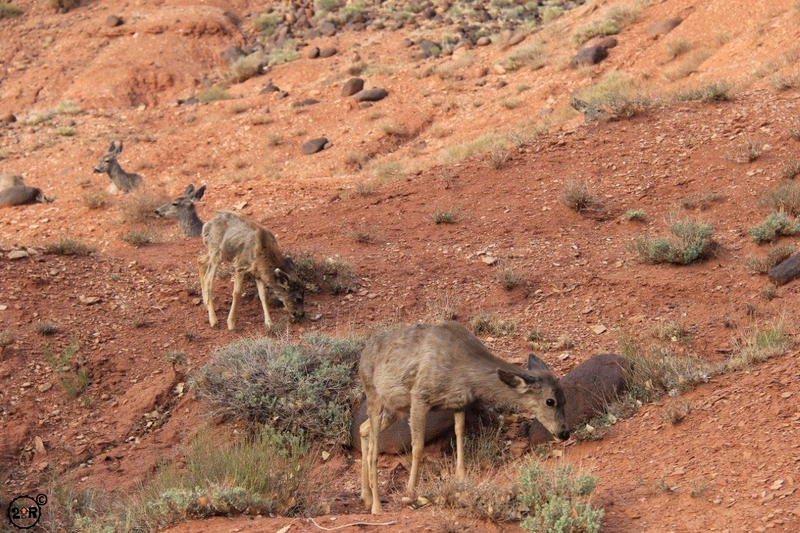 Some backcountry camping is also permitted but there are rules to follow. 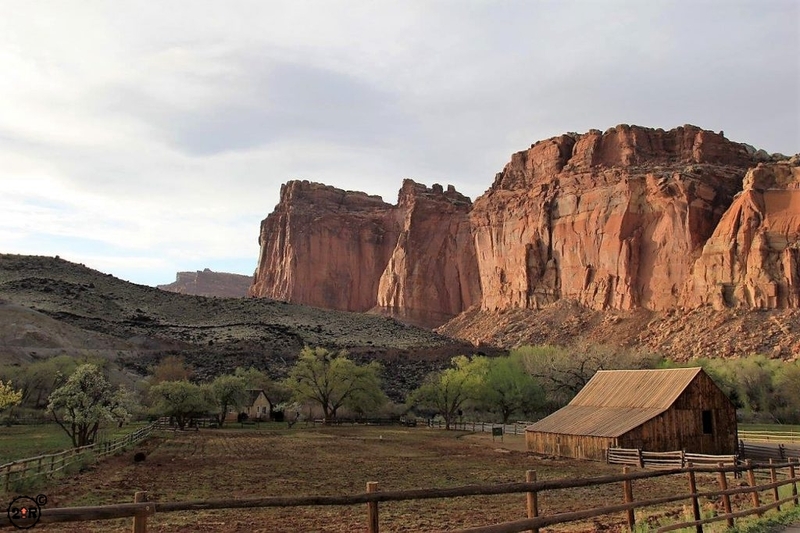 You can also explore some of the park areas on horseback and camping with your horses is also OK. What a cool way that would be to explore this awesome place!